Sam, age 6, had lots of stories in his head. A sedentary child, he wrote about what he knew best: comic books filled with drawings and, later, science fiction stories and short plays. As an adult, he writes poetry and literary criticism. Given options, Sam always chose to write. Every child is born with his own strengths and unique qualities. Even toddlers show preferences. John loved solitary play, building intricate structures for hours. Holly knocked down everything in her path. Children play differently. As parents, we need to pay attention. Observing our children in different activities, we see their special qualities. Any parent can confirm that no two siblings are the same person, even if siblings share similar interests and abilities. Each child requires a different kind of support. What should we watch for? Would my child rather throw a ball or watch a ball game? Is he happier alone, one-on-one or in a group? Does he prefer to take charge or follow the leader? Would he rather listen to a story or look at the pictures? Would he rather cook the food or develop new recipes? Does my child follow instructions for games or create his own rules? To identify children’s strengths, we need to recognize how children function. We can watch as they play alone versus with others. How do they approach a task? When building with blocks, for instance, do they watch what their playmates are doing or plunge right in? When frustrated, do they ask for adult assistance or do they work it out themselves? What do your children think they are good at? Children concentrate on things they enjoy the most. The child who likes to draw or play with puzzles has a strong sense of design and small-muscle coordination. The child who wants to climb trees and hang from the jungle gym has a strong sense of balance and skilled use of his body in space. To see children function best, parents need to know what they enjoy most. Both active and sedentary children need encouragement and physical outlets. Active children like opportunities to climb, run and throw a ball. However, they also need periods of quiet time to re-charge. Sedentary isn’t necessarily solitary. Children who enjoy working on student publications, playing board games and building Lego structures with friends find social satisfaction through non-physical activity. They need noncompetitive physical opportunities like hiking or skating. Parents can help youngsters discover something active they enjoy, while respecting children’s preference for sedentary pursuits. Although all children need social experiences, some require more time alone than others. Children who prefer projects requiring precision, practice time and order enjoy undisturbed time to themselves, or in one-on-one situations. Children use social opportunities in different ways. The child who constantly wants companionship might seek competitive settings—team and group games, debates, artistic and scholastic competitions— to stimulate his talents. But he also needs daily quiet time. 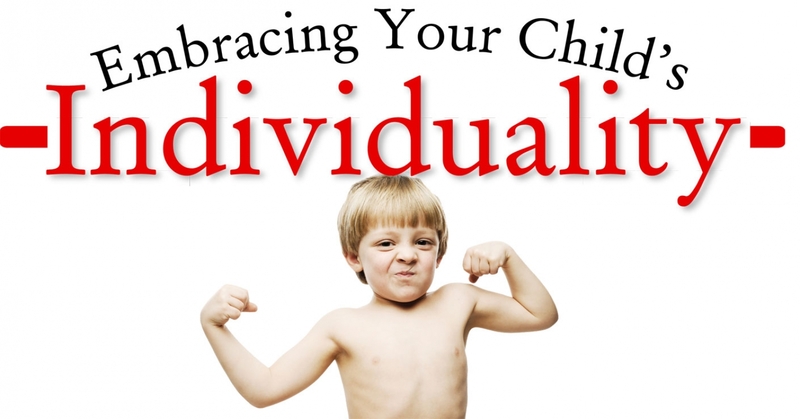 Nurturing children’s social styles reinforces their developing talents. The child with playmates might be refining his negotiating skills; the solitary child might be writing poetry. Every community needs leaders and followers. By observing children over time in group activities, parents see how children are most comfortable. Children might need to try out different roles with their peers. Children assume leadership roles in specific interest areas— one child manages the fundraising project for the Chess Club, another child organizes a class trip and a third kid serves as a conductor for a school musical. With opportunities to exercise leadership skills, children often find, to their surprise, that they have such skills! Followers can be content receiving direction and supporting others; they need to be heard and valued. Children who love maps, puzzles and models show a visual orientation. Doug always adored movies and television. As a toddler, he put together complicated puzzles. At 3, he gave adult drivers accurate directions across town. As a young adult, his bedroom included plants, surrealist art posters and a rusty metal sculpture, contrasting with his black and white color scheme. In college, he studied visual arts. He takes his camera everywhere. Children who like formulating ideas might be less comfortable with their concrete representations. Concrete thinkers like clear instruction, specific goals, practical approaches and hands-on opportunities. They need use of their imaginations and open-ended ideas, such as being asked “What if…?” questions. Theoretical thinkers like schedules, analysis, patterns, interrelationships, few time constraints and freedom to explore ideas. Rules and regulations form a comforting framework for children who think and respond in an orderly way. Such children thrive in a structured environment— with predictable schedules, clear rules and logical consequences. Other children need to pioneer. They like choices for activities and frequently balk at limitations. They love to find new ways to approach situations. The orderly child who can play Monopoly for hours enjoys a regulated environment. Meanwhile, his creative companion might devise novel ways to beat the system. Although they often threaten the status quo, creative thinkers help move society forward. By observing their creative children, parents may recognize patterns. As much as a child’s environment influences him, he also influences his environment. Even an infant can give signals to his family. We reduce a child’s frustration when we provide for his needs. Support and encouragement from parents motivate a child to develop his talents. Once we understand our children’s abilities, we can more easily support their particular skills.